Trials for ‘bionic’ eye implants – A nice article on the BBC News site with more details about how the technology works with images. It looks like this is still in the very early stages at the moment. There are still 2 years of the trial left to run and who really knows what will happen at the end of that? Worst case scenario is that it might get scrapped for being expensive and not producing ideal results. Lets hope that is not the case. The technology is still in an experimental stage, so there is a lot to learn. On the whole though it is very promising so far. Our understanding of medical knowledge and treatment has come a long way in recent history, to think that during the 1800’s body snatchers were digging up graves to sell corpses to anatomists to study. The first human-to-human heart transplant was only performed as recently as 1967 by Dr. Christiaan Barnard, although the patient died of pneumonia only 18 days after the procedure. 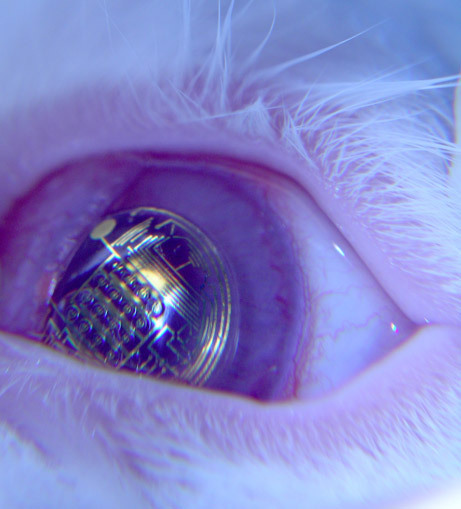 It could be a while before these bionic eyes are available to the mass market at an affordable price, but when you look at the history of medicine, it is surely inevitable that it will eventually arrive. I follow your posts for quite a long time and must tell that your articles always prove to be of a high value and quality for readers.